California Police announce they’ve captured the man they say shot and killed rapper Nipsey Hussle. 29-year-old Eric Holder was captured in Bellflower, CA. Chief Moore says they haven’t apprehended Holder at this point and suggested they do not know his whereabouts, whether he’s in L.A. or if he’s fled the city. Either way, Moore urged Holder to surrender himself, and anyone who knows where he’s at to come forward. 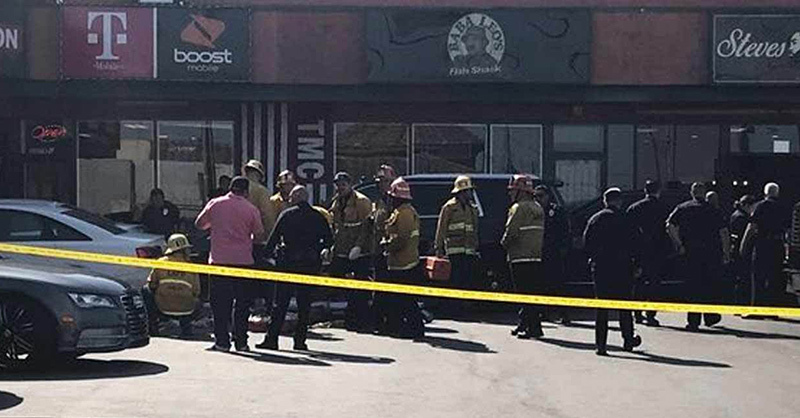 Nipsey Hussle and two other people were shot outside of a clothing store owned by the rapper today. Hussle was one of the people shot outside The Marathon Clothing, which is located on the 3400 block of Slauson Avenue in the Hyde Park area of Los Angeles. The LAPD says the shooting occurred at 3:20 PM local time. Nipsey was pronounced dead after being transported to a hospital.